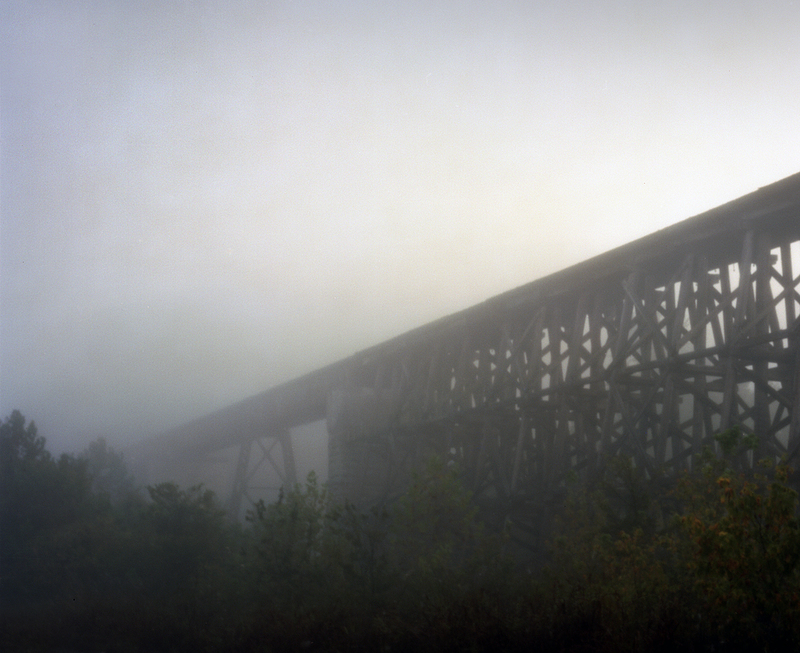 An old train trestle spanning the Red River shrouded in morning fog. 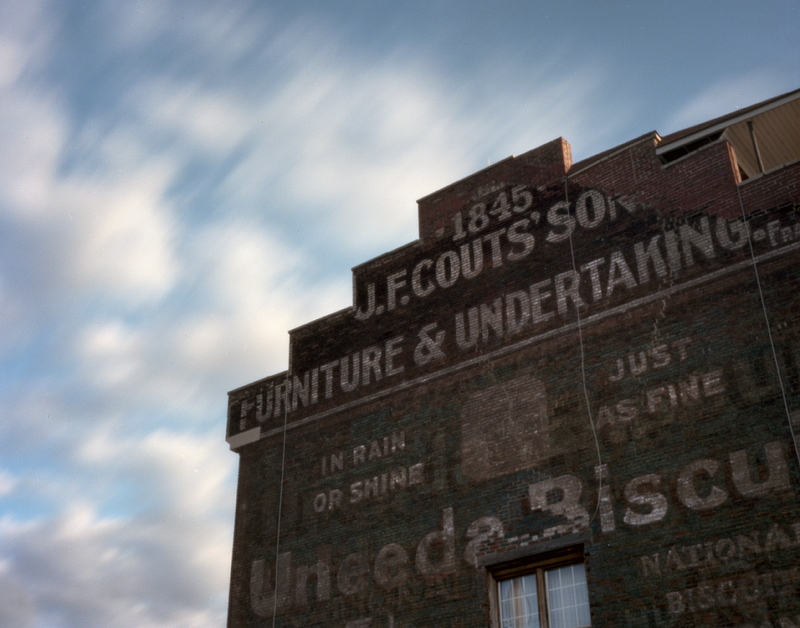 Clarksville, TN 2013. I had the honor last week of being in Clarksville Tennessee making a presentation of the Civil War 150 Pinhole Project to the Society of Tennessee Archivists. The Society of Tennessee Archivists have been busy over the last few years collecting artifacts and oral histories from Tennesseans for the State’s Archive on the Civil War Sesquicentennial. The Civil War 150 Pinhole Project and Society of Tennessee Archivists collided, so to speak, at Shiloh, Tennessee in 2012. I happen to meet archivists Lori Lockhart and Carol Roberts on the battlefield while working on the project and we quickly realized that we had similar goals. The Society of Tennessee Archivists and archivists in general are interested in and practiced in the collection, archiving and storing of historical artifacts for future generations. 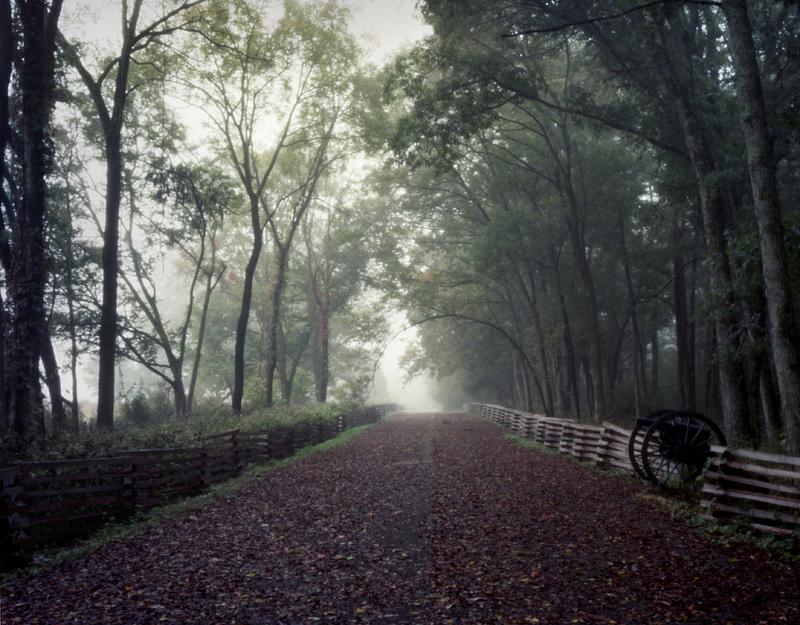 My approach and the project’s collection of pinhole battlefield photographs, following the timeline of the sesquicentennial, piqued their interest. Arriving in Clarksville prepared with a presentation and slide show of pinhole images for STA’s annual conference, I utilized my free time exploring Clarksville and middle Tennessee’s 19th century landscape with the pinhole cameras. The State of Tennessee played an enormous role in the American Civil War. The state hosted more battles during the war then any other aside from Virginia. From the banks of the Mississippi at Memphis to Knoxville in the east evidence of the War can be found throughout the State. 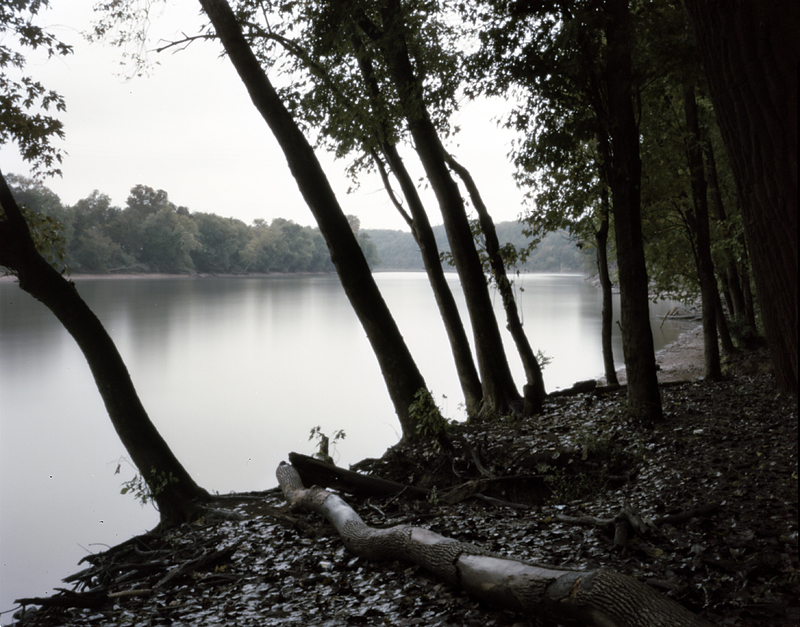 The Cumberland River at Fort Defiance in Clarksville Tennessee, 2013. Clarksville in the 1860’s was a vital communications and transportation center for the Confederacy. Situated at the confluence of the Cumberland and Red Rivers, Clarksville was a major producer of tobacco and agricultural goods but became an important source of iron, it’s local foundries producing cannon, artillery shells and musket balls for the Confederate army in the early days of the war. In the 1860s the Memphis, Clarksville and Louisville Railroad served the City; its old wood trestles still span the City’s waterways today. Evidence of Civil War era fortifications and trenches at Fort Defiance in Clarksville, TN 2013. Clarksville’s location at the confluence of the Cumberland and Red Rivers made it a strategic point during the war. The Confederates in preparing for the City’s defense constructed Fort Sevier, now called Fort Defiance, on a hill that commands the two rivers. 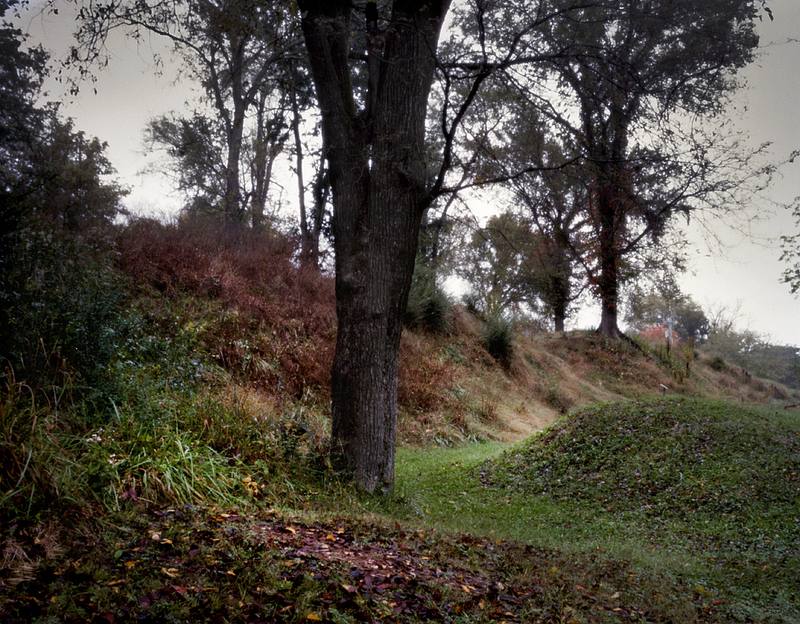 Today the earthen walls of it’s fortifications are still plainly visible and is the site of Clarksville’s Civil War Interpretive Center at Fort Defiance. Union Ironclads would have filled the view here in 1862. 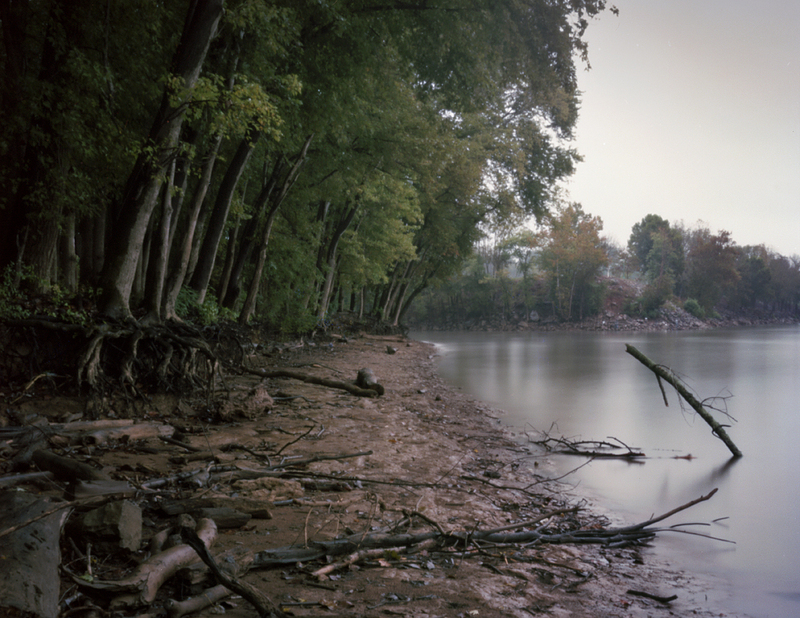 The banks of the Cumberland River at Fort Defiance in Clarksville TN, 2013. 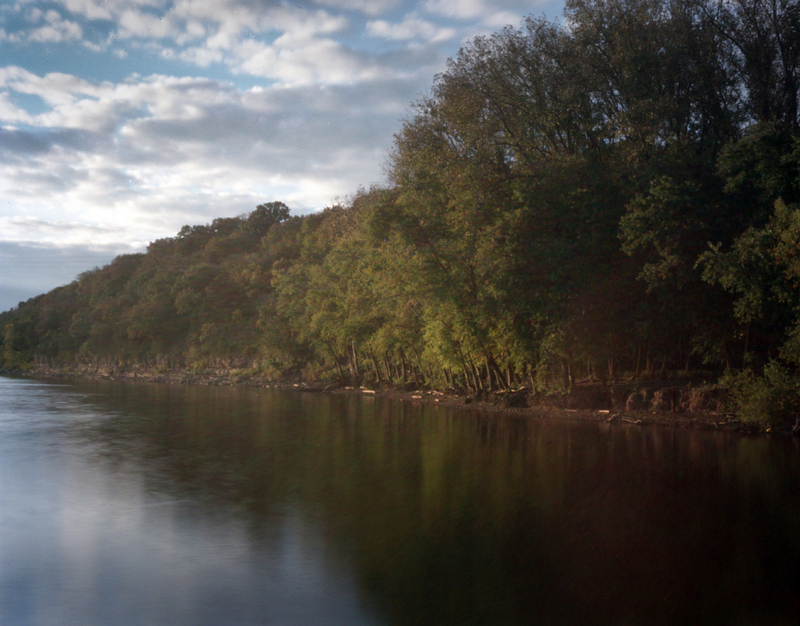 Union gunboats and ironclads filled these rivers in 1862 capturing the fort and occupied Clarksville throughout the rest of the war. After the issuance of the Emancipation Proclamation in January 1863, Clarksville became a Federal recruitment center for the induction of free blacks and former slaves into the Union army. I also had a chance, thanks to the Government Reopening!, to see the Battlefield at Stones River just south of Nashville in Murfreesboro, Tennessee. The Battle at Stones River or Murfreesboro, occurred on December 31st 1862 through January 2nd 1863. 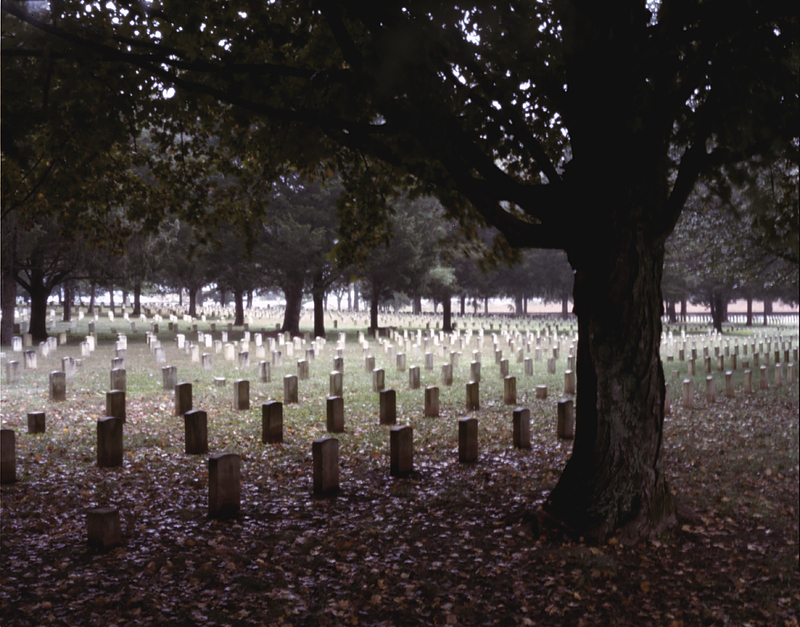 The three day battle at Stones River was the sixth bloodiest contest in the Civil War with a total of 24,000 casualties. The two western commanders, the Union’s William Rosecrans and the Confederacy’s Braxton Bragg, slugged it out here in Murfreesboro, a prelude to their fateful and more decisive meeting at Chickamauga, GA in September 1863. 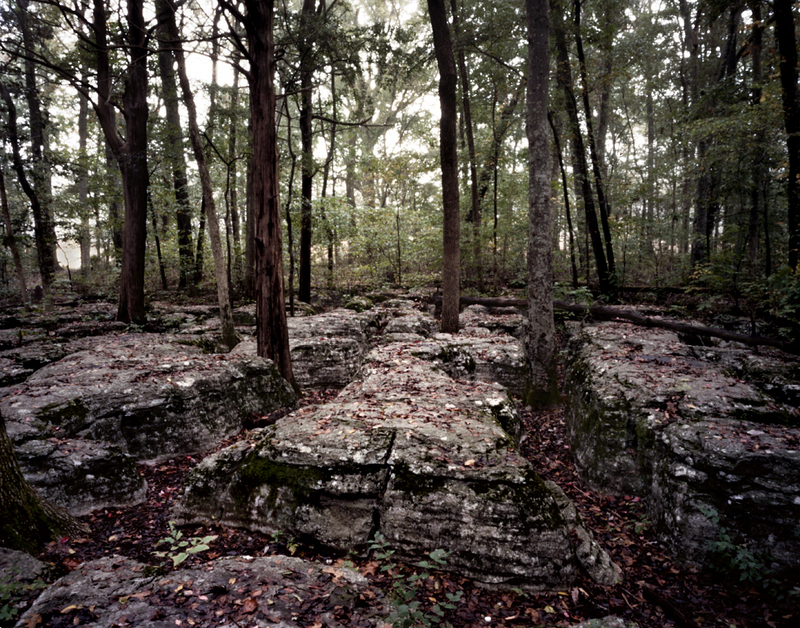 The Battlefield at Stones River is wet and swampy with a collection of open fields and cedar forests dotted with distinctive limestone outcroppings. A section of the forest here was dubbed, “The Slaughter Pen” the limestone rocks from which the soldiers fought are plainly visible today. A foggy morning mist seemed to heighten the somber, quiet feeling of this comparatively small and intimate battlefield. “The muffled drums sad roll has beat the soldiers last tattoo. No more on life’s parade shall meet that brave and fallen few”…. I love the National Park Service. I would like to thank David Sowell, President of the Society of Tennessee Archivists, for his kind invitation to attend and present my work at their annual conference in Clarksville. Special thanks goes to archivists Lori Lockhart and Carol Roberts who have the designation of being the very first “fans” of the Civil War 150 Pinhole Project. Our fateful meeting at Shiloh led to this unexpected opportunity to travel back to Tennessee and further explore this wonderful state and it’s plethora of civil war history. 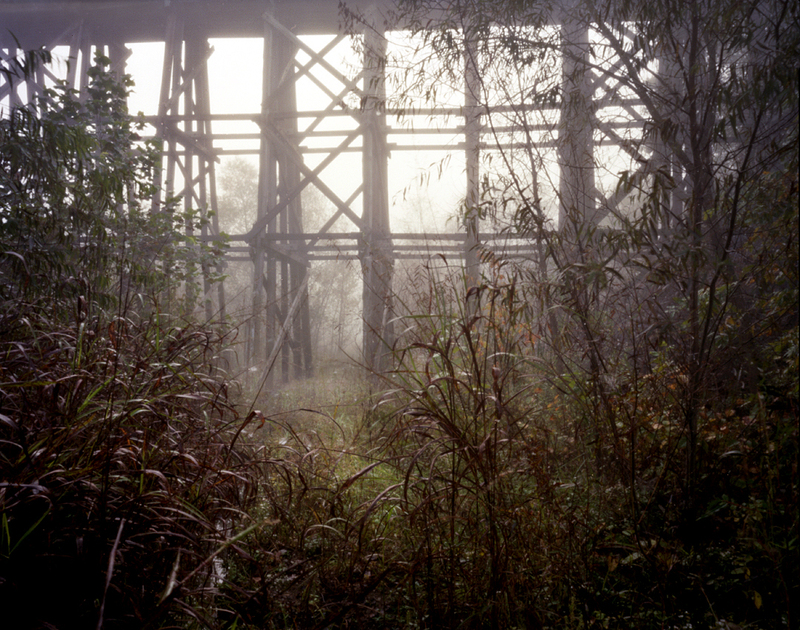 Morning fog shrouds a train trestle spanning the Red River in Clarksville, TN 2013.